New video tutorial following on from the aligning text to a shape, this one is How to turn a frame into a solid shape from which you can cutout text from. New video – How to make a lattice heart frame in Silhouette studio. I have made a new video tutorial on how to turn a lattice and a heart in heart lattice frame. I have made two new videos for Silhouette Studio. 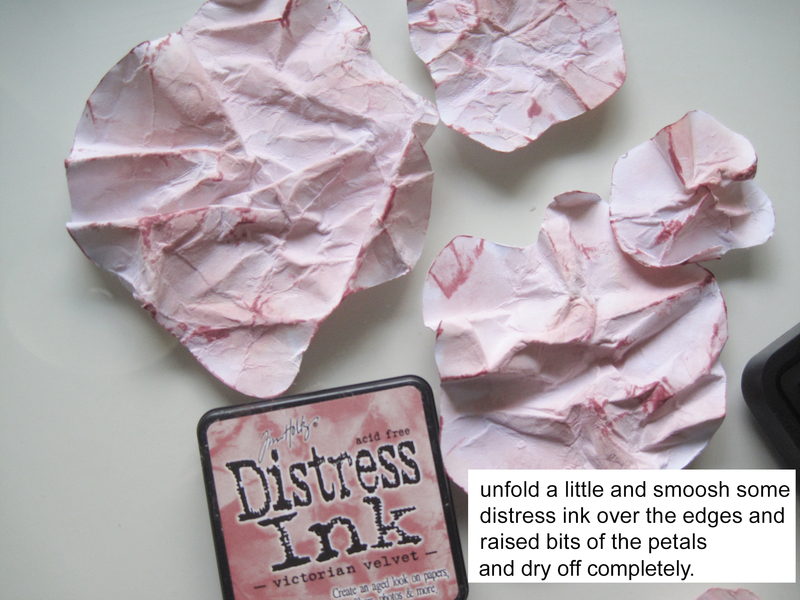 The first is how to make a swirl/spiral and then use that to make a filigree component which can then be used for pattern repeat or adding as an embellishment to card making or any other mixed media project. The second is how to turn that filigree component and make a repeat pattern then add it to an oval frame. This tutorial shows you how to make a tattered rose in silhouette studio then take it one step further and make the rose embellishment. How to turn your lattice into a frame in Silhouette studio. Follow up video to my creating a lattice. This one is making a cutout for the lattice and turning it into a frame. Watch out for a couple of bloopers. how to make a simple lattice in Silhouette studio. Where has the year gone. I can’t believe that’s it 2013 already. I have been busy designing for Silhouette America. If you want to take a look at what I’ve been creating then please click on the link. I am also thrilled that currently one of my designs is No.1 on the popular designs page. Roman clock with gears n cogs http://www.silhouetteonlinestore.com/php/?page=browse-popular-designs. The weather is dark and grey ATM and we have been threatened with snow. But no sign of it yet. 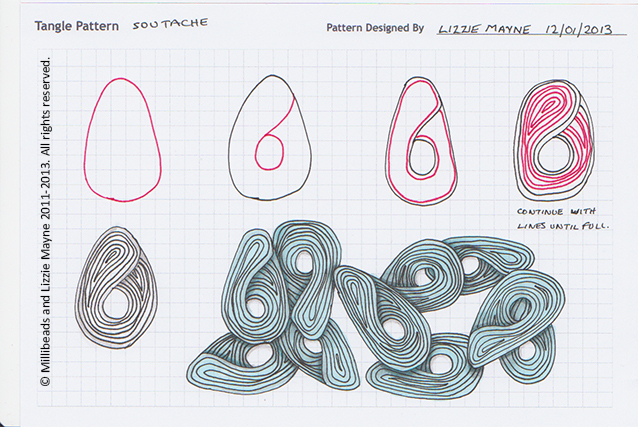 However, I have managed to sneak in two more tangles called ‘Ruffles’ and ‘Soutache’. 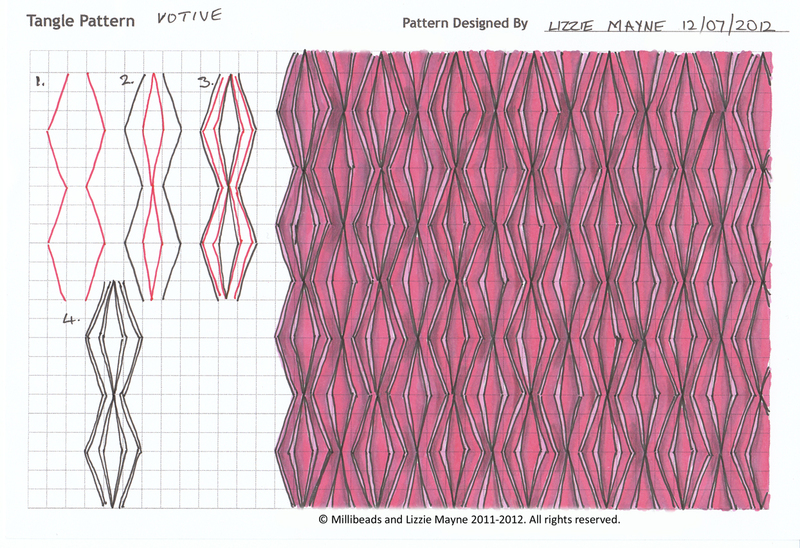 You can get the step by step on how to create these patterns on my tangle pages. I have been a bit quite lately from blogging but not from creating. I now have been accepted as a contributing Artist for Silhouette America. 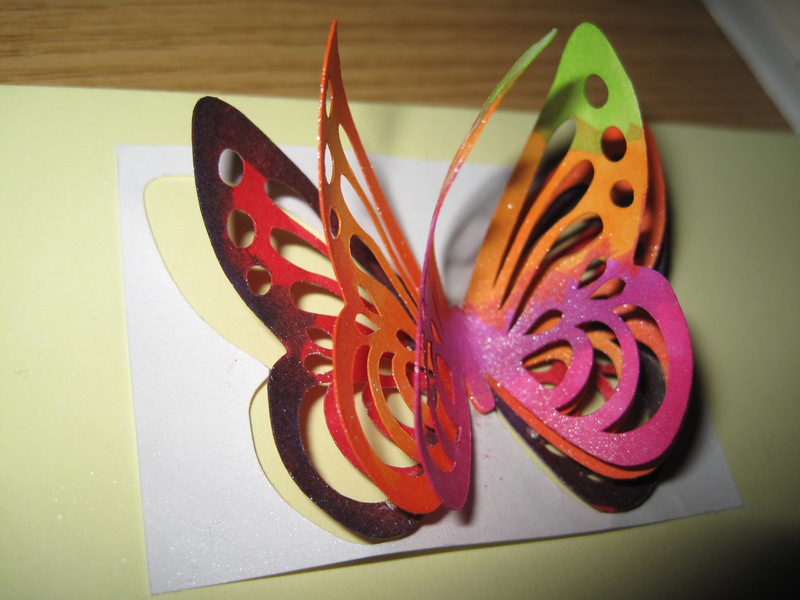 I create designs that are used on electronic cutting machines for personal or commercial use. So I’ve been busy designing for them, and finally earning some money from all my crafty efforts. However, I’ve still managed to keep up with my Tangle pattern designing as I find it a welcome change from sitting in front of a computer all day, staring at the screen and becoming bugged eyed. 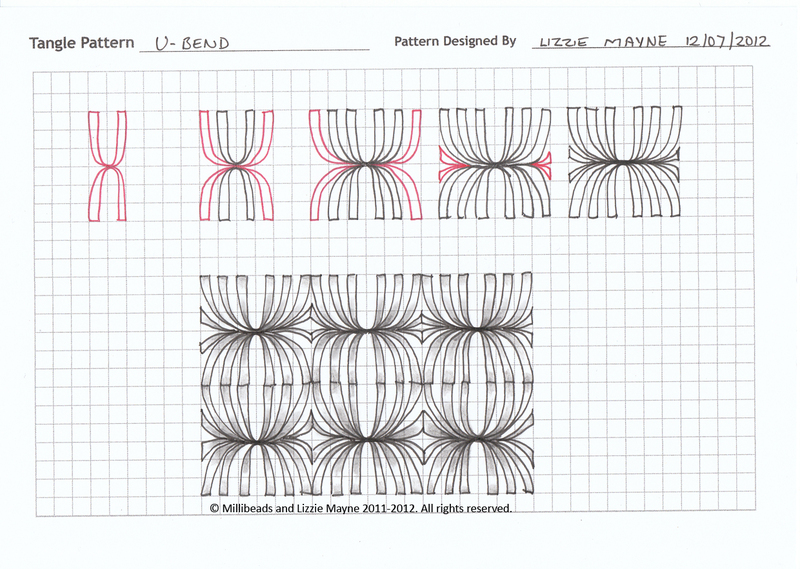 The new patterns are called ‘Votive’ and ‘U-Bend’. You can find the step by step guides on my tangle patterns pages. 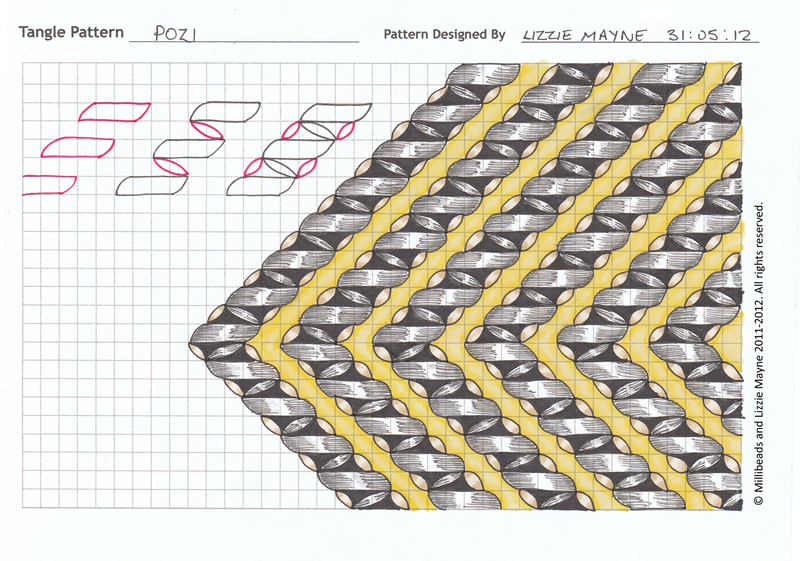 New Pattern ‘Pozi’ and exciting news for me. It’s been a while since I have blogged but I have been busy getting to grips with my Silhouette Cameo cutting machine, plus I’ve been distracted with a new i-Pad. Two things; one I have a new pattern for you called Pozi and the other is that…sooooo excited. I have been accepted as a contributing artist for Silhouette America for designing and selling Scalable Vector Graphics (SVG) cutting files for electronic cutting machines. I love dabbling in patterns and digital imagery so now hopefully will earn a bit of pocket money in something that I love doing. I’ll post the link later when they have been put up on their website. Anyway here’s the pattern. Click on the thumbnail for a step by step guide in how to create the pattern, plus you’ll find oodles more on my Tangle patterns page. It’s been really lovely having family here for the weekend. One daughter on a visit from Uni and my husband’s parents. Generally the house is so quite, it was nice to hear it sounding vibrant again. When you have guests you don’t stop feeding. cleaning, tidying up after them but I did managed to get out the two tangles as promised. These were done in the early hours of the morning while my visitors were tucked up in their beds. 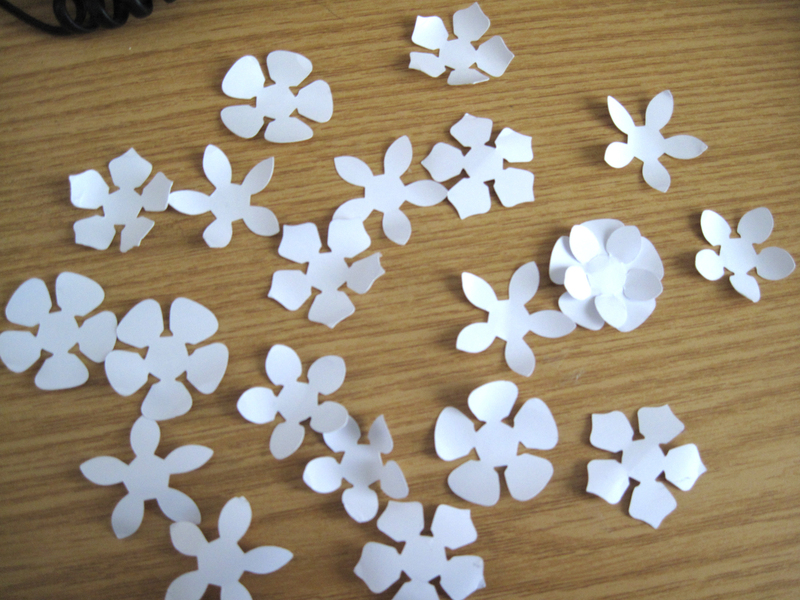 Plus I got to play with my super new cutting machine, not for long though as the dog had to be taken to the vets. Poor thing is getting on and is becoming incontinent. So I have been non-stop washing of pet bedding and floors (Yuk!). These are the results of my playing about. 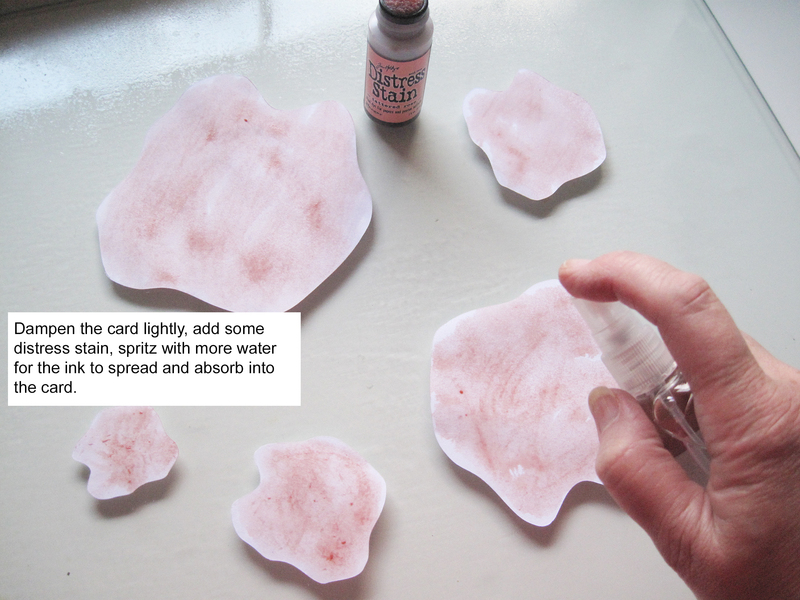 The flowers are the images I used from the Tonic flower pairs punches. I downloaded the images and traced them in Illustrator and made them into a cutting file. Not sure that is legal, but I am only playing around with the machine. 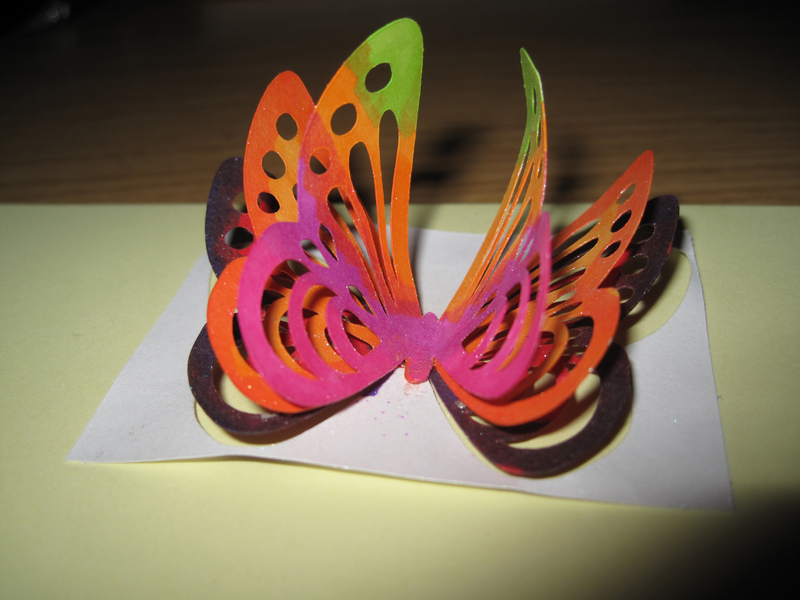 The Butterfly was cut out 3 times out of 160 gsm paper and coloured with Kurecolor markers. I added a bit of Perfect Pearls medium. 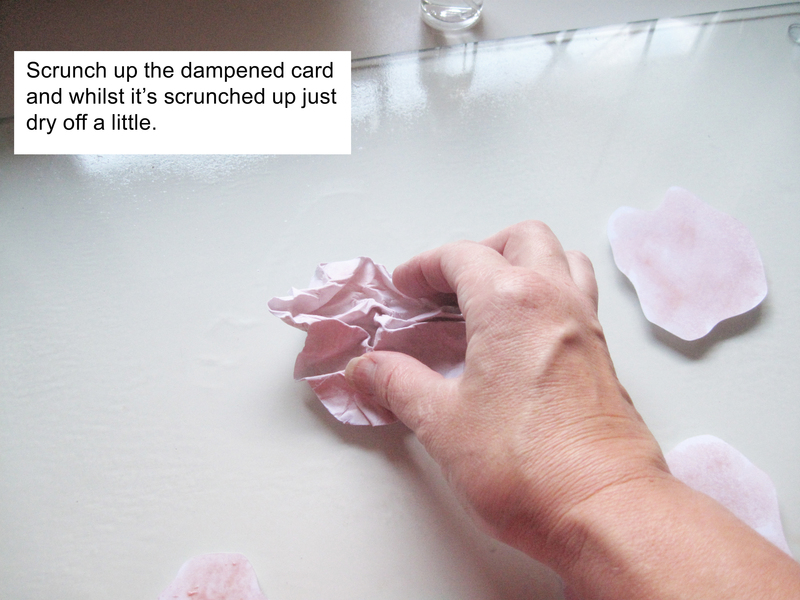 (Note to self, use a heavier card stock next time.) The Silhouette Cameo cuts nicely but the mat is extremely sticky and the first time I used it my paper stuck fast to the mat and ripped when I tried to remove it. 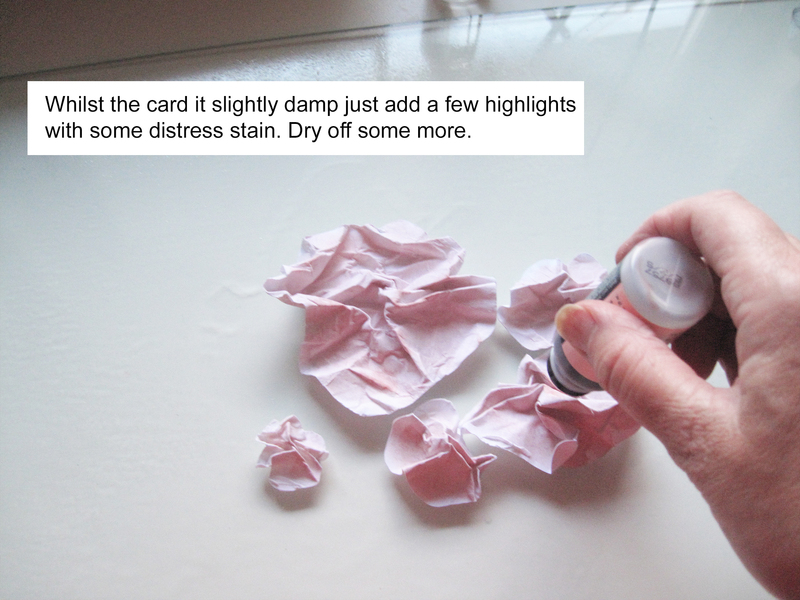 I tackled that issue by placing the mat over my jeans and pressing on the fabric to remove some of the stickiness. I do have an issue with the Silhouette Studio software. It’s really slow and jerky on my PC. I have Windows 7, anyone experience the same problem? I have emailed the support team, they made a few suggestion but to no avail. They are forwarding the problem onto their Programmers. Meanwhile I used a trial version of SCAL (Sure Cuts A Lot) software. That works like a dream and will except Illustrator files as a cutting file. So I am more than happy with that and purchased a full working copy. It works well with most cutting machines except Cricut. I had one piece of excitement that happened to me. I was interviewed by Cindy Angiel from http://lineweaving.com and http://rainbowelephant.com/. I will be a featured artist on her new line weaving blog and you’ll be able to hear the interview there. This was because I uploaded all of my Tangle patterns to her new Line Weaving forum. Cindy had seen them and loved them (Yay). I’m so glad that my patterns are being appreciated and incorporated into her artwork. 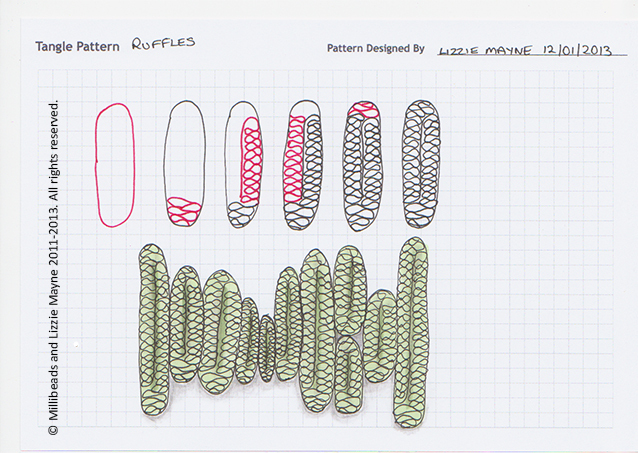 This is a great new site for those who are interested in repetitive patterns. I was very excited and honoured to be interviewed and hopefully this will drive some traffic toward my own blog. 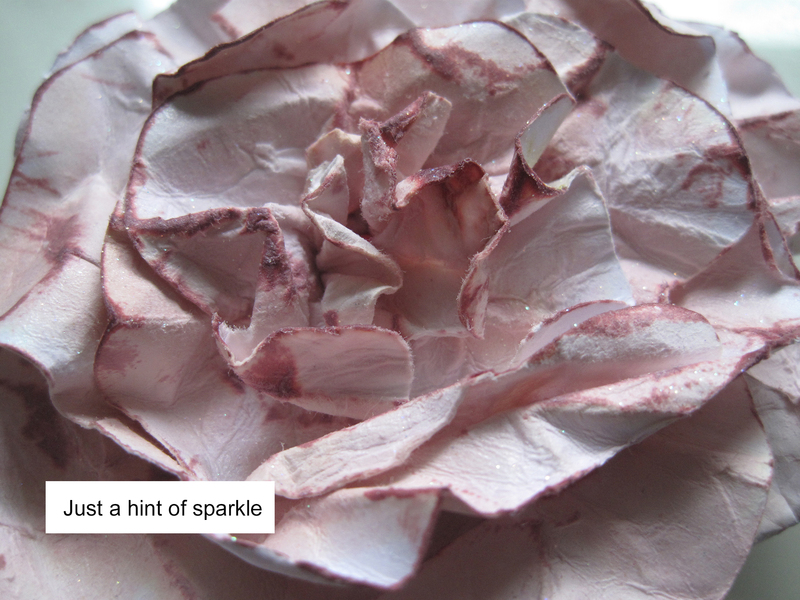 At the moment I am trying to get a new page organised called Textures. These will be free to download for anyone interested in using them for digital imagery. There will be T&C’s on how the photos can and cannot be used. One last thing that made me smile. My Mother in Law (Bless her, I love her to bits). presented me with 4 knitted rectangles. 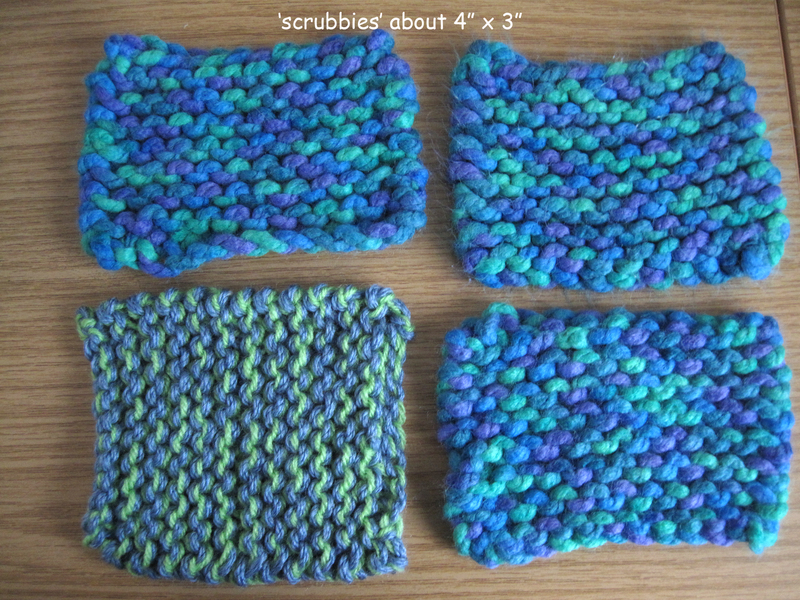 I looked at her quizzingly, she said that they were knitted pan scrubbies made from acrylic chunky yarn and when dirty, they can be flung into the washing machine and re-used – very green. They have to be knitted in acrylic yarn as it’s slightly harsher than 100% wool, but gentle enough to not scratch your pans. They work quite well. 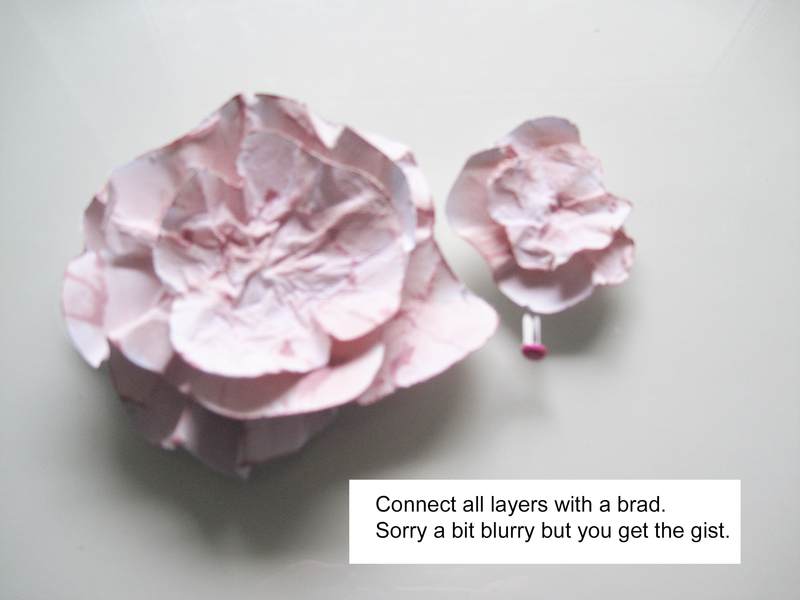 What a great idea for using up your scraps of yarn.